How industrial fisheries reduce perfectly edible wild fish into fishmeal to farm carnivorous fish, pigs and poultry. 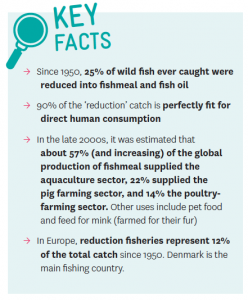 BLOOM dived into the opaque world of ‘reduction fisheries’, which catch fish low on the food chain – such as sardines and anchovies – to reduce them into fishmeal and fish oil to support the farming of fish, pigs and poultry, although 90% of the reduced fish are perfectly edible by humans. Throughout this report and a scientific study conducted simultaneously (Cashion et al., 2017), BLOOM and coauthors show that reduction fisheries are the result of the massive overexploitation of traditional fish stocks, and that they are now contributing to the sequential depletion of the very first links of the food chain, despite their crucial importance for marine ecosystems. => Read BLOOM’s summary and full report as well as the scientific publication that BLOOM co-authored. In their insatiable quest for wild resources, huge factory vessels have expanded into the distant waters of developing countries, where they directly compete with local fisheries by capturing so-called “forage” fish and posing serious threats to food security. Our study shows that fishmeal is mainly used by unsustainable aquaculture schemes that produce carnivorous fish (salmon, sea bream, etc.) 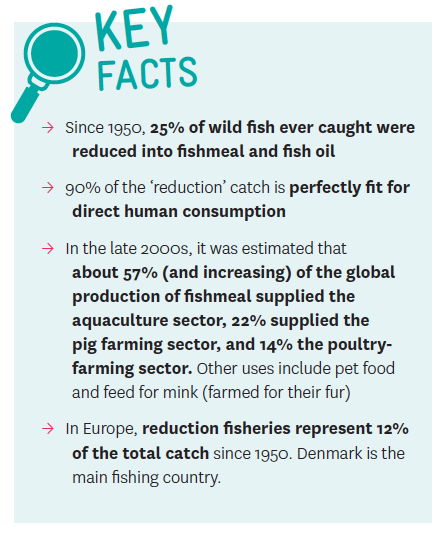 but also to feed species such as pigs, poultry or mink that do not naturally eat fish and for which marine proteins are thus completely superfluous. The entire reduction fisheries cycle, from the initial targeting of edible fish to the final use of fishmeal in aquaculture, pig and poultry farming, is contrary to the ‘Code of conduct for responsible fisheries’ of the Food and Agriculture Organization of the United Nations (FAO), which clearly states that fisheries must directly contribute to food security and that the reduction of small pelagics into fishmeal and fish oil should be limited to non-edible species (such as boarfish). Finally, BLOOM’s report denounces the commercial logic of ecolabels, which, instead of solving the issue of overfishing, end up encouraging bad practices such as unsustainable aquaculture or unethical fisheries. 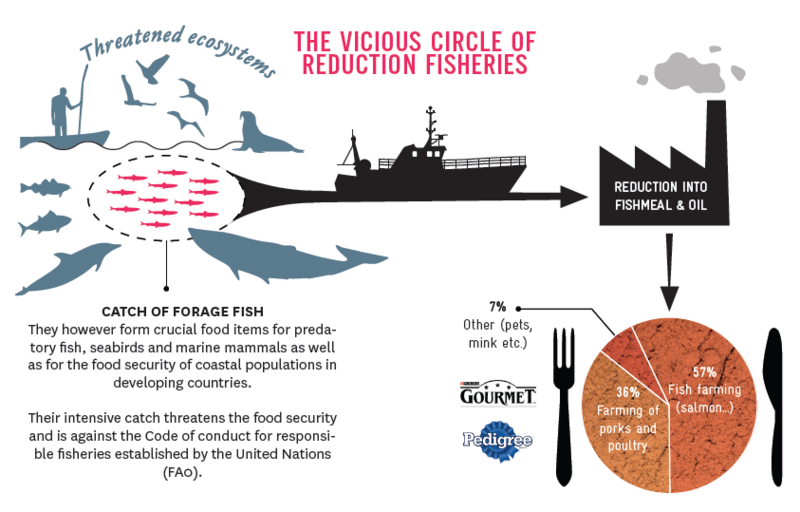 The increasingly controversial MSC label (Marine Stewardship Council) already certifies 7% of the world’s reduction fisheries, although they exploit the very bottom of the food web and pose structural threats to food security. 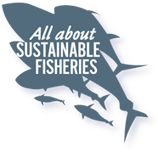 Thus greenwashed, MSC-certified reduction fisheries can then enter unsustainable aquaculture schemes of carnivorous fishes, which are then poised to obtain the MSC’s sister aquaculture label, the ASC (Aquaculture Stewardship Council). In other words, labels that have redefined sustainability reinforce each other by cross-referencing, promoting their weak standards and controversial certifications.